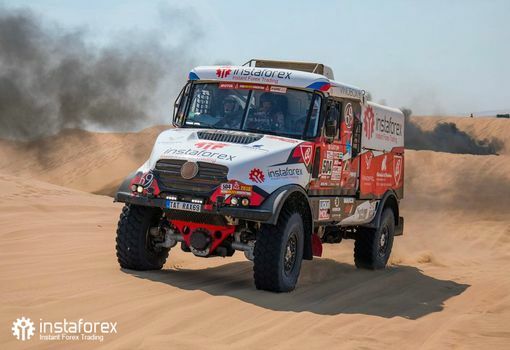 Aleš Loprais, Ferran Marco Alcayna, and Petr Pokora on their Tatra Jamal were the fifth in the overall standings in the truck category to cross the finishing line. The rally team met the challenge of the extremely tough 41th edition of the legendary rally raid. Moreover, they successfully competed with powerful and large factory teams. This edition was arranged within the territory of the only country, Peru. Therefore, this rally marathon was shorter than previous editions in terms of a distance and racing days. Nevertheless, the host plotted a route which required the passionate commitment from the participants. The Dakar Rally kicked off on January 6 in Lima. 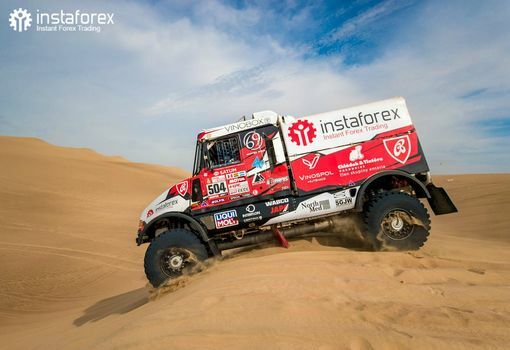 Remarkably, only one third of the teams who participated in the rally in the truck category returned to the Peruvian capital city which was also the final point. “For me this was perhaps the most difficult Dakar, leaving aside those where we had an accident and withdrew prematurely. We are a small family team without factory support and yet we have succeeded among the big factory teams,” Aleš Loprais shared his impressions about the participation in the rally. Importantly, unlike InstaForex Loprais team the rest of the nine teams in the Top Ten ranking were factory-supported crews. “I would mainly like to express my sincere thanks to the boys, the whole team, our families, fans and sponsors, for without them we would never have managed this. Even though we only enjoyed two problem-free stages, they counted for all and filled us with hopes for the future. To defeat factory teams is a big challenge and I believe we will succeed in this,” concluded Loprais. You can relive the most exciting moments of Dakar Rally 2019 by reading the news on this page.